169 pages frontispiece, diagrams and indexes. Small octavo (7 3/4" x 5 1/8") issued in green cloth with gilt lettering to spine, black lettering to cover and white and gilt pictorial to cover. Being a new and enlarged edition of Problem Terms and Characteristics by the same author. Preface by A F Mackenzie. 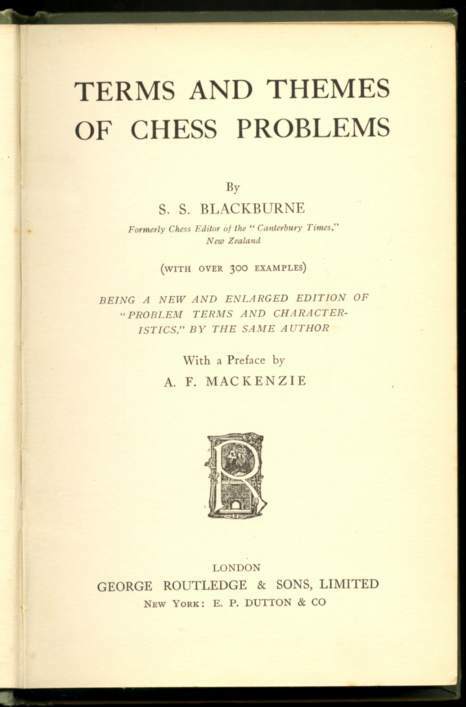 (Betts: 31-2) Second edition. Also published in New York by Dutton, 1908. 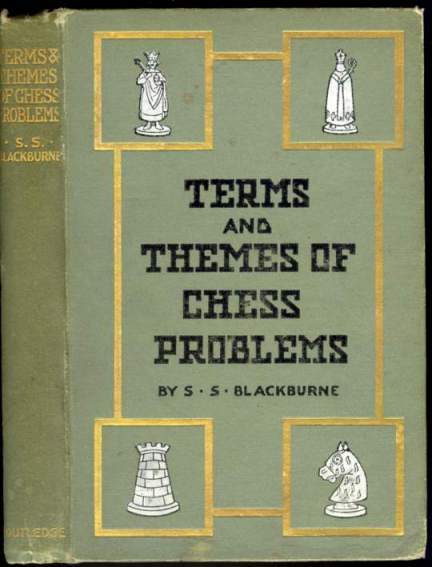 In two parts, the first comprising a set of 97 definitions of terms used in problem composition with 124 examples, the second defining 53 themes with 190 examples. Corners bumped and rubbed, spine ends rubbed, lightly soiled, spine darkened else a very good copy issued without jacket.